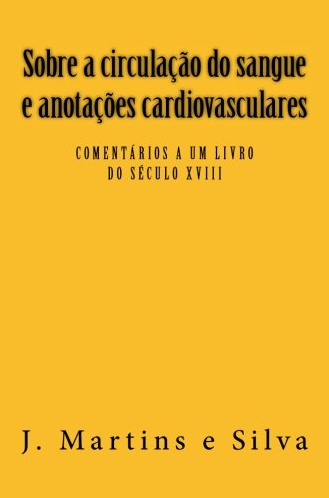 Professor João Martins e Silva, former Director of FMUL, released his book On blood circulation and cardiovascular notes: comments on an 18th century book. In this book, we are given the opportunity to travel through time, from Ancient Greece to the year 1761, when the book was published by the surgeon Francisco José Brandão. By this time, they already knew how blood circulated, it was described about a century and a half earlier by William Harvey and was known through experimental studies that he carried out on numerous species of animals, and on what had been revealed about the heart, veins, and arteries in human corpses by other researchers. Except for a limited period during ancient times (in the 3rdcentury BC, in the school founded by the Greeks in Alexandria), only after the 12th century (after the Church discontinued the prohibition of anatomical dissections) was it possible to obtain concrete data on the anatomy and physiology of the human body. Until then, and even more than a century after Harvey’s discovery, the medical community remained convinced of the certainty of the circulation pattern described by Galeno in the second century, mainly based on dissections of pigs and monkeys. Dr. Francisco Brandão, whose texts are now put in perspective by the author, Prof. Martins e Silva, looked to write a book that demonstrated the basic notions of blood circulation to his surgery students. However, he didn’t feel entirely up to creating an original text of his own, so he translated the book of a French doctor, to which he added comments, although saying that these notes were essential for clarification of what he had translated. JOÃO ALCINDO MARTINS E SILVA was born in Lisbon on the 24th of June 1942. He graduated in Medicine in 1967, and earned his doctorate in medical sciences in 1973, and became a tenured professor in 1979/80. During the thirty-seven years of his academic role at the Faculties of Medicine of the University of Lourenço Marques (until 1974) and the University of Lisbon, he taught biochemical physiology to thousands of medicine students, and during some of those years he also taught dental medicine (at the Faculty of Dental Medicine of the University of Lisbon) and biomedical engineering (at the Instituto Superior Técnico). He promoted and directed the Biochemical Institute, was Dean Professor, Deputy Director and Director of the Faculty of Medicine of the University of Lisbon, as well as President of two national scientific societies. He has edited various books and was author/co-author of a few hundred articles and scientific interventions on physiological and applied biochemistry, essays and other topics. In 2005, he retired from the civil service at his request. Since then he has maintained both research and the publication of papers on the history of medicine among his main interests.